ASTANA – The idea of smart cities is gaining ground around the world, and specifically in Kazakhstan, which intends to keep up with the trend. With the capital’s intention to enter the world’s top 50 smart communities, the city is working hard to achieve the goal. Smart cities merge digital innovations and the physical world to make people’s routines easier by ensuring sustainable development and improving the quality of life. 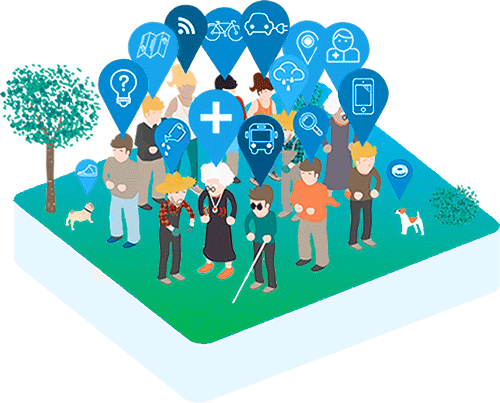 In 2013, Kazakh President Nursultan Nazarbayev instructed the Akimat (city administration) to develop a set of measures that will foster the path to the smart communities list and the item has been on top of the city administration’s agenda. “It is a global trend. It is a necessity. All cities and developed countries have been working in this field. Those tools and resources that we had before the digital century became outdated. Now, we need to move in a different direction and search for new technological and innovative solutions to ensure the sustainability of the city. Smart City is a foundation for that,” said deputy head the Centre of City Technologies Expertise Bakhytzhan Ualikhan. Time was needed to learn the best international practices from cities such as Barcelona, Dubai, Moscow and other successful examples, he added. The Smart Astana project incorporates technology-driven solutions in various sectors, like hospitals, schools, the ticket booking system and street lighting. 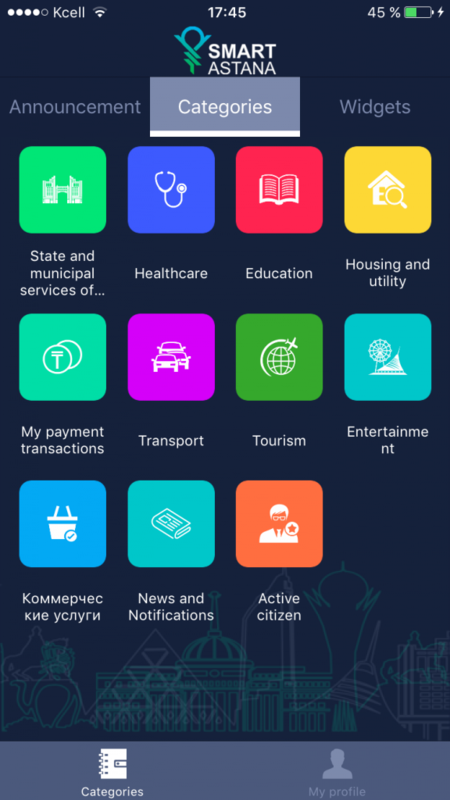 In conjunction with a comprehensive set of measures to make public services more efficient and accessible, Astana Innovations, a subsidiary of the Astana city administration, developed the Smart Astana app. A beta version was made available in January 2016 and within a few months, Astana residents and guests were able to fully enjoy it. Available in three languages, the app offers approximately 20 services ranging from making a doctor’s appointment to ordering a taxi. “A primary purpose is to combine all services into one app. There is no need to download dozens of apps. All systems are integrated,” said Ualikhan. One of the app’s main features is push notifications that are of a great use to parents, as the city’s cold winter weather often results in school cancellations. Mobile operators used to notify parents, but there were many complaints about untimely announcements – some parents received them on time, while others received them much later. “The city Akim (Mayor) instructed then to solve this issue and, given a large number of smartphone users, we decided to develop an app such as Smart Astana, where push notifications became a key component,” he added. The app also offers another channel to reach 109 service, an intellectual contact centre that deals with a wide range of complaints from locals and guests. Whenever a person is dissatisfied with city or public services or sees something that needs to be fixed, he or she can contact the centre through the app, the Smart Astana website, Facebook, Instagram or Twitter. Developers continue working on the app to add new features and fix bugs, noted Ualikhan. “We have updated our app this year and added new services. We plan to continue issuing updates for the app, increasing the number of available services up to 40 and also working on the existing services,” he said. Users relay remarks on a wide array of subjects. “There are many comments. Of course, it is impossible to satisfy every person. Someone does not like the design, while another does not like the services. But, in general, people are positive about the app,” he added. The app will also be useful to residents and guests as it shows the schedule of the city’s cultural events, which is particularly important during EXPO 2017.